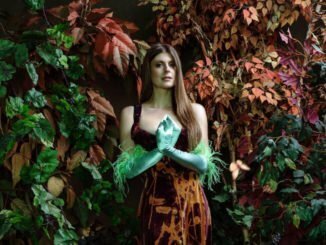 Toronto-based artist, composer and producer Lydia Ainsworth announces her sublime second album, “Darling of the Afterglow”. The album is released today through Bella Union. 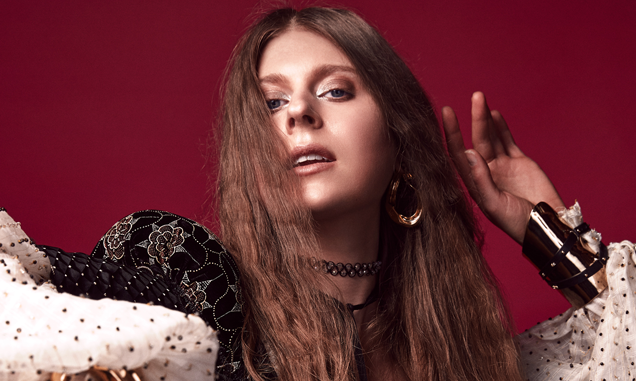 “Darling of the Afterglow “is Lydia Ainsworth’s sophomore record and follow up to the Juno-nominated and critically acclaimed Right From Real (2014). The album features a team of local Toronto musicians, woven into Ainsworth’s programming, samples and string arrangements. “I usually have to be out of my element to get that spark of inspiration,” she says of songwriting. The songs on “Darling of the Afterglow “ were all begun away from home, before being brought to fruition in her hometown. Mixing yearning pop with other-worldly synthetic sounds, plush classical settings and weird-gothic R&B influences, Lydia Ainsworth’s new album is a richly imagined, richly felt work of future-pop classicism: an album of intimate emotions projected in heightened widescreen. Comparisons with Kate Bush are well deserved – she has the ability to hit several notes at once with her extraordinary voice. Her music is a work of art with layers and textures always waiting to be discovered on every listen. Clanging keyboard chords open first song The Road, and it’s a lush, sensuous start. It has an even doom of piano beat with Ainsworth murmuring “Astral mirrors guide the fall/Let’s go on and on and on once more”. She pulls you in immediately. What is it struts along wonderfully with banjo and piano, giving the song a real folk flourish. Ricochet is an eclectic mix of Middle Eastern and Celtic sounds. Lydia sounds confident and cool and listen carefully, there are little electronic pop and bubbles. It’s multi-layered, rich and seductive. Afterglow is next – chants of vocal and even electro beat introduce Lydia’s vocal with supple Celtic undertones. It’s a lush lullaby and Ainsworth commits herself fully and delivers one of the best lines of the album “To play it safe is not to play at all”. Open Doors is full of that breathy vocal, alongside pretty piano and velvety violin. Like the entire album, it’s brilliantly produced and more than just a little majestic. Spinning carries that Kate Bush spirit – whether this is deliberate is not clear although Ainsworth has previously stated that Bush collaborator Peter Gabriel is an influence. It has a really unusual gorgeous Gaelic jig about it with orchestral strings and stirring drum. Into the Blue is a song to fully immerse yourself into, it’s a dreamy mix of Middle Eastern influences partnered with layered vocal samples and sensual electronic beats. A haunting and masterful cover of Chris Isaac’s Wicked Game follows. Ainsworth brings a more eerie soundscape to the song whilst still keeping the guitar noir of the original. I Can Feel it is a quirky track – Ainsworth lilting’s vocal sounding like a bird of paradise with her “ ooh ooh ooh ooohs” underpinned with electronic chimes and beats which add a dark broodiness. It finishes with a synth that glistens. WLCM is beautiful and spacey – what I love about this artist is that even though there is so much going on with her arrangements, at the centre of each song is THIS vocal. She sounds exquisitely vulnerable and this song is captivating. Final song Nighttime Watching closes the album perfectly. It’s experimental and wonderfully weird. Darling Of The Afterglow establishes Lydia Ainsworth as a creative artist who does not want to be ordinary. She pushes boundaries and is a master of arrangement and a creator of beautiful soundscapes. Pass this message on: Darling Of The Afterglow is a bold and beautiful album from a voice ready to be heard.